KARACHI (Dunya News) â€“ Pakistan Navy will organize multinational naval exercise â€œAman-17â€� from February 10-14 in the North Arabian Sea. Navies of 71 countries have been invited to participate. The exercise, themed "together for peace," will feature harbor and sea phases where participants will witness a variety of activities including Search & Rescue (SAR) Operations, gunnery drills, anti-piracy demonstrations, replenishment at Sea (RAS) and maritime counter-terrorism demonstrations. It involves ships, aircraft, helicopters, Special Operations Forces (SOF), Explosives Ordinance Disposal (EOD), marine teams and observers from regional as well extra-regional navies. This exercise provides a platform for the navies involved - some of which do not work together very often - to hone their skills andbuild cooperation and friendship to promote peace and stability. 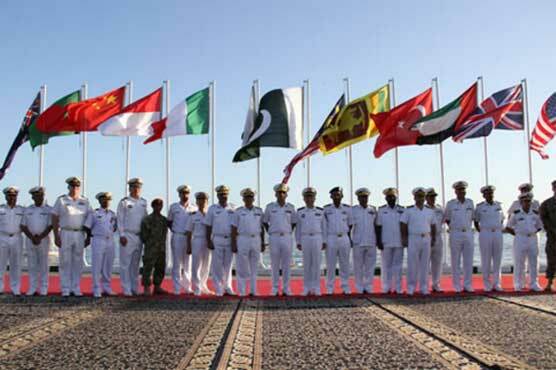 The joint drill will bring together navies from 12 countries including Australia, China, Indonesia, Japan, Malaysia, Maldives, Pakistan, Russia, Sri Lanka, Turkey, the United Kingdom and the United States.In addition, observers from 31 countries will also attend the event. The Chinese navy fleet will include the guided-missile destroyer Harbin, guided-missile frigate Handan and the comprehensive supply ship Dongpinghu. That is good news, and Pakistan Navy is improving day by day. This was a very good initiative for naval forces of Pakistan. Because it helps to engage and updated with the war or crises situation. Pakisan navy is always good i like nany very much. info including PSC+ JSC+ SSC+ HSC. We also Give Job Circular and Job Results and all kind of Education Update.